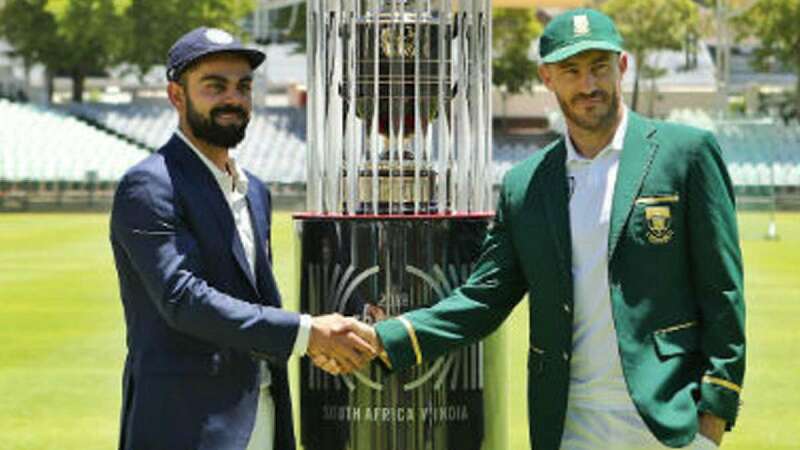 Cape Town : South Africa won the toss and elected to bat against India at the Newlands in Cape Town on Friday. For team India, Jasprit Bumrah made his Test debut while Hardik Pandya was also included in the squad which is playing with one spinner. South Africa are playing with four seamers - Kagiso Rabada, Vernon Philander, Morne Morkel and Dale Steyn - and a spinner. South Africa: Dean Elgar, Aiden Markram, Hashim Amla, AB de Villiers, Faf du Plessis, Quinton de Kock, Vernon Philander, Keshav Maharaj, Dale Steyn, Morne Morkel, Kagiso Rabada. India: Shikhar Dhawan, Murali Vijay, Cheteshwar Pujara, Virat Kohli, Rohit Sharma, Wriddhiman Saha, Hardik Pandya, Ravichandran Ashwin, Mohammed Shami, Bhuvneshwar Kumar, Jasprit Bumrah.